SDI is pleased to welcome a new group of interns into our organization. 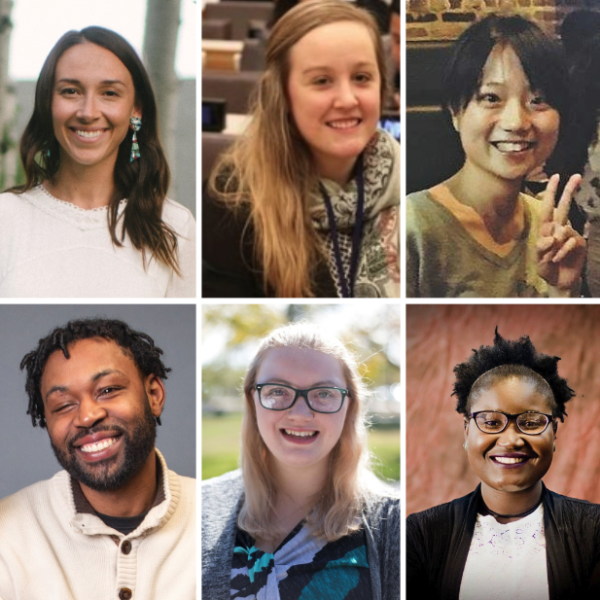 This cohort began working in January and will complete their practicum at the end of summer 2019. These students learn about our mission, values, and programs, as well as gain first-hand experience working with people with disabilities. SDI’s College Outreach intern is Alix Grant, a first-year student at The Brown School at Washington University. She is studying for her masters in Social Work and hopes to work in a clinic or hospital setting after graduation. Alix was connected to SDI through our Career Academy alumni and Chief Financial Officer Brian Chao, who she grew up knowing. Our second DREAM BIG intern is also a first-year MSW student from the Brown School. Natsuki Sasaki hopes to learn about marketing, relationship building and management skills. After school, she would like to work in non-profit management for an organization focused on health. Natsuki’s interest in serving within the disability community developed from a book she read about a Japanese social worker who created a peer-support self-evaluation method for people with mental illness. She then started learning about mental health at her university in Japan. After working as a research assistant in a program that supported employment for individuals with mental disabilities, she worked for more than a year as a job coach for people with a variety of disabilities at an employment support center in Japan. Natsuki is currently planning workshops in the DREAM BIG program and hopes that students will be motivated to learn more. Aaron Owens is a senior at Fontbonne University and is currently finishing his Bachelor’s degree in social work. After graduation, Aaron plans to work towards getting his Master’s degree and eventually become a LCSW. Aaron is blind and a graduate of the Fall 2018 Starkloff Career Academy. He says his disability is his motivation to advocate for social justice and social diversity. During his internship, Aaron is helping create a curriculum for a continued education workshop for social workers to enhance their knowledge on the topic of employment. Samantha Adams is a first-year Master of Social Work student at The Brown School at Washington University. She is currently working with Starkloff Career Academy to create a syllabus for continuing education unit workshops along with intern Rose Gelin (below). Samantha has a good relationship with a family member who has autism and epilepsy, and sees him living an independent lifestyle. She hopes to learn a lot about working with job seekers and the disability community, as well as accomplishing a working syllabus to teach other social workers about working with the disability community. Rose Gelin is the aforementioned first-year Master of Social Work student who also comes to Starkloff from The Brown School at Washington University. Rose and Samantha are working together to develop our CEU workshops. She hopes to work with older adults in a palliative or hospice care setting after graduation.